Tsanonda Edwards knows what it’s like to fight back when beaten down by life. When he was 12 his father killed himself. Of course he wasn’t, he found out later on his dad suffered from bipolar disorder and manic depression. Like so many children who experience the trauma that comes with growing up in Baltimore—Edwards needed a place to go. He found the Wylie Funeral home where he worked for several year. The owner of the funeral home became a mentor to him, and when Edwards grew up his mentor told him and his friends to make something out of the old funeral home building. 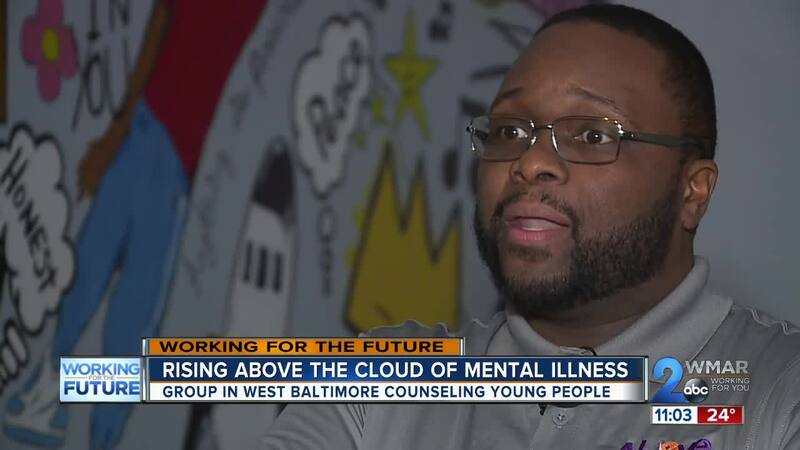 Now that space that was used to help people cope with the pain by saying goodbye gives children in West Baltimore a place to talk about and combat their mental health illnesses. They reach kids from the ages of 5 to 17 and their families. Michael Miller is one of the co-founders of Above It All with Edwards. Miller has a similar story to Edwards, he was five when his father was shot five times in the chest and killed. The biggest lesson they teach is the power of positive thinking. They work to help the parents too. In Edward’s book “The Extraordinary Mr. Nobody” he talks about how he’s dealt with his journey with mental health issues. Giving back to the future of a city that they’ve seen lose so much.